The Pine Barrens of NJ is home to several excellent award-winning wineries that produce a wide variety of red and white wines. 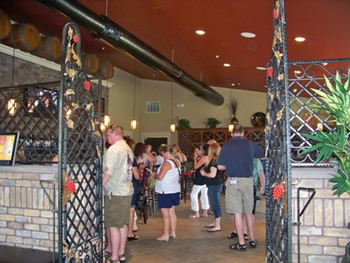 Valenzano, Sharrott, Plagido's, Amalthea, DiMatteo, Bellview, Tomasello, Renault, Laurita, Balic and others, located in Atlantic, Camden, Burlington and Ocean Counties, all offer winery tours and/or tastings. In fact, New Jersey is fifth in the nation in production of wines! Our wineries produce many of the classic wines, both red and white, and dry or sweet, but it doesn't end there! Cranberry wines, both red and white, are a favorite any time of the year, but it is a local custom during the holidays - a few of the wineries have it for tasting and sale. Bring home several bottles and start your own tradition; it will be a huge hit at holiday dinners! These wineries also take advantage of other south Jersey fruits - you'll find raspberry wines, blueberry sparkling wine, peach sangria, and even dandelion wine! 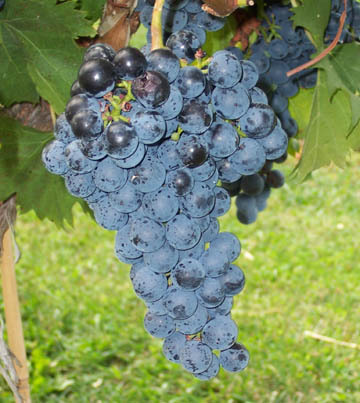 South Jersey provides an excellent climate for vineyards. Global Warming is causing warmer winters, but as a result, grapes are thriving here, enabling oenologists to plant varieties that never before would have survived in this area. It is said that the Pinelands region is much like that of the well-known wine growing regions of France. Winemakers in growing numbers are enhancing New Jersey's nickname, "The Garden State", and raising its status as a home to a number of excellent vineyards producing high quality wines that are garnishing much attention and numerous awards. 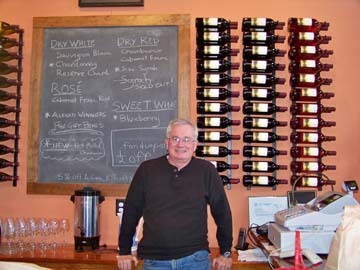 Valenzano Winery, located in the heart of the New Jersey Pine Barrens, is dedicated to producing the highest qualilty wines from the vineyards of southern New Jersey; specializing in fine red and white wines from grape varieties that are unique to the Northeastern United States. Just minutes from Historic Hammonton! Open year-round, seven days a week!